Getting sober isn’t easy–that goes without saying–but neither is establishing a practice, especially an Ashtanga practice. We met to chat about the Ashtanga program at my home studio today, and I realized that trying to sell the Mysore program to new students is almost as hard as trying to convince someone to start a twelve-step program. Don’t get me wrong. Starting a yoga practice is very different from getting sober. I’m not trying to say the two are the same. But they are similar, in that they’re both very difficult and life-changing. In a practical sense, this means spending time in reflection each day, going to meetings regularly, talking in front of groups of strangers, making phone calls even when I hate talking on the phone, and believing someone else’s advice is more valid than my own. It’s kind of a hard sell. For a twenty-three year old entrenched in the local punk and metal scene, it was especially hard. Instead of going to shows, I had to go to meetings. Instead of stealing people’s lawn ornaments for kicks, I had to call my sponsor. Instead of grafitti-ing inverted crosses on police station walls, I had to read a book written by an old man in 1939. Instead of writing lyrics for my band, I had to write an inventory of my flaws. Tough stuff, but the reward is unbelievable. There’s no way to say it that doesn’t sound cheesy, but it’s nothing less than a life-changing spiritual awakening. Ask anyone with long-term sobriety. It’s the truth. Mysore-style Ashtanga doesn’t let me hide. I meet the same poses, day in and day out, so my shortcomings are always apparent. The teacher knows when I don’t show up, and will ask about it. I don’t get to skip twisting poses just because I binged on chocolate the night before. I’m accountable to myself, my teacher, and my fellow practitioners. It can feel like more responsibility than a hobby or fitness regime should require. But that’s the key. An Ashtanga practice is more than a hobby. Peg Mulqueen calls it a rabbit hole. She’s right. It’s a lifestyle. It’s a path. It’s the gateway to a deeper understanding of God. This entry was posted in Ashtanga Vinyasa Yoga and tagged Ashtanga, mysore, sobriety, yoga by Emma. Bookmark the permalink. excellent and honest writing. You go girl! Thank you for sharing this. Being vulnerable is not easy! I love that your practice has created a whole new meaning in your life for you. 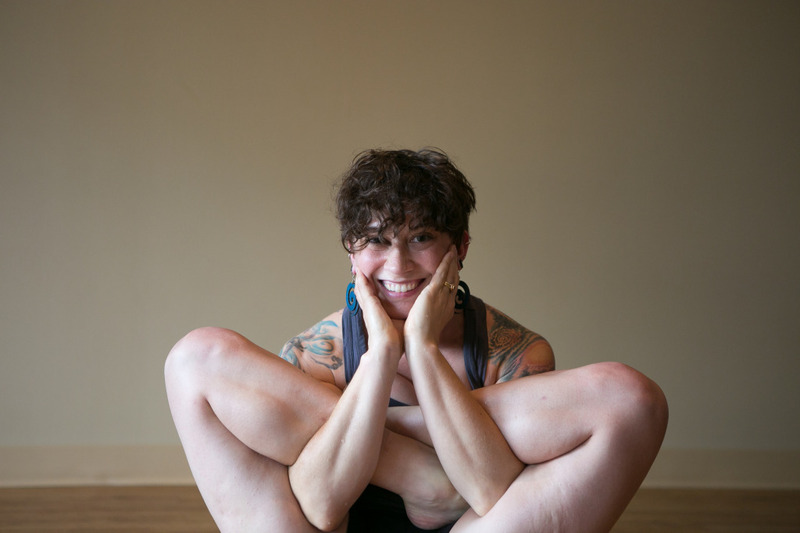 Today was my first encounter with ashtanga… I am so excited! Even though I’ve been practicing other types of yoga for a while now, this one intrigues me a lot. I can’t wait to wake up at 5am to practice! Well said Emma, I hope you don’t mind that I posted this on a FB page I started. Sojourners This Way to Recovery. Oh and by the way I am a Hoosier too! Thanks Mike! I don’t mind at all. Thanks for sharing the article. Why should you have “a deeper understanding of your god”….??? What is it that makes you to one that should have this “insight”??! Or do ALL that¨s do this program, going to have the same “insight”?? If so, it cant be special, thiis “insight”, when you just take a cours, then you “got it…”??! Not everyone will agree with me, Rolf. Thanks for reading and commenting. People hasent gotten dumber…except that guy above. Good for you for your diplomacy. I forgot how good this blog is. I’m gonna share it some places….